The two most important things in the life of a parent are probably kids and family finance. There’s a startup that combined both those things and created quite a fortunate product. The startup is called GoHenry, and it’s a British company that provides pocket money solutions for children. 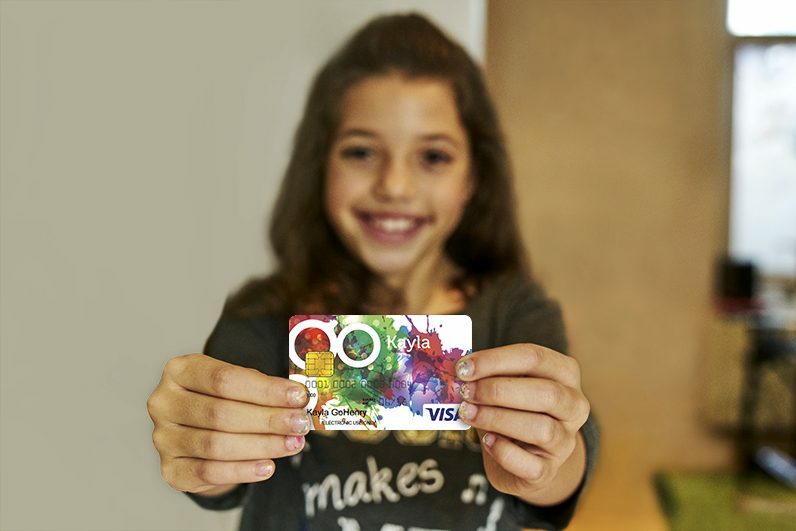 With GoHenry, parents can give their little money-suckers VISA payment cards as soon as they turn six. But this doesn’t mean that the family will go bankrupt before the kids are seven. Parents retain total control over the card. They can even decide where the children are allowed to use it. GoHenry is not just a virtual piggy bank to stash Tooth Fairy money. The app boasts a bunch of other nifty features. For example, kids can earn extra pennies doing chores. This way, they supposedly learn the relationship between what they do and what they can buy. Capitalism in a baby bottle. GoHenry is a “fun-fintech” startup, meaning that it’s at the crossroads of fun learning and fintech. BUX — the investment app that we featured earlier in this series — is an another example of this burgeoning trend. There’s a huge popular demand for hands-on learning apps. It’s no coincidence that GoHenry smashed crowdfunding records in 2016, raising £3.99 M.
The raised capital fueled a remarkable growth in revenue — 1316 percent over the past three years. To know more about this company, I reached out to its CEO, Alex Zivoder. We started seven years ago. The three founders were parents who saw a gap in the market: There were no pocket money apps for kids. That’s what got them started. And — believe it or not — the first transaction was made in November 2012 by a kid named Henry. Why should parents pay £ 2,99 per month to GoHenry? Because we offer a unique solution. With GoHenry, parents can at the same time handle their kids pocket money and teach them a couple of things about finance management. Traditional banks don’t offer anything like this. In addition, they often lack the credibility and the tone of voice. It may sound like a cliche but GoHenry is really a product built for parents by parents. Are you a parent? Well, when you become one you’ll see that at age seven your kids start to develop some kind of consciousness about money. From then on, you can teach them how to manage it. And the earlier you start, the better it is. How can GoHenry teach about money? In many ways. For example, parents can set up tasks for their children and reward them with small sums of money. This way, kids learn that there is a relationship between what they do and what they can buy. But we’re also developing in-house content. That’s also really relevant for us. The unboxing of GoHenry cards is a Youtube sub-genre in its own regard. Of course. Facebook, WhatsApp, and all other social media are extremely useful tools for us. Parents like to chat about their kids and to recommend new products. We’re referring to pounds and pennies. Are you present outside of the United Kingdom? Not yet, but we’re thinking to expand to the United States and afterwards to Europe. Speaking of the EU, Magnus Hultman (CEO Strossle) asked: how can the European Union be so stupid 70 years after we founded it? After Brexit, we don’t have any say in that. Anyway, there are 50 million children in Europe. For us, it’s a giant market. But it’s a really difficult one. Because of different policies and regulations but also different languages. That’s why we’ll expand in the US first. Niccolo Maisto (CEO FaceIT) wanted to know how you retain the right people in your company. I think he meant developers. It’s difficult for us as well. You see a lot of movement nowadays. Developers contract more and more. Some kind of shift is happening in the labor market. We’ll adapt to the changes. And what is a question you’d like to ask other CEOs and founders in this series of Growth Stories? I’d ask the famous Peter Thiel’s interview question: “Tell me something that’s true but nobody agrees on.” It’s probably the most important thing you could ask a CEO. To conclude, a question that seems apt for a family-oriented app: what about job-life balance? Oh, that’s really, really difficult to maintain. The toughest challenge. One of my daughters is still really young and I sometimes wonder: Am I spending enough time with her? It breaks my heart. Also this year, in partnership with Dutch unicorn Adyen, we organize Tech5 – the annual competition that celebrates Europe’s fastest-growing tech companies. Is your startup experiencing extreme growth? We dare you to prove it. Signups are open.